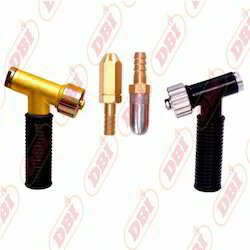 We are offering Pneumatic Hold Cleaning Gun to our clients. With the help of our skillful professionals, we are engaged in trading and supplying a wide gamut of Spotting Gun Arrow. 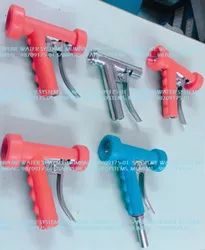 Foam cleaning gun can be used for the car to clean delicate appearance, more quickly and thoroughly clean car appearance. pressure not less than 8 kpa, gas flow rate is not lower than 0. 26m3/min, than 8kg work pressure :05-0. 8mpa inter size 1/4"
We hold proficiency in offering T Type Pressure Cleaning Gun. Our offered range is manufactured utilizing the top grade material and sophisticated techniques. In addition, our presented range is checked on predefined quality parameters, in order to meet worldwide standards. Apart from this our honored customers can avail this product range as per their needs at nominal price. - This Air Foamer Gun will change how you wash your car. It uses the air pressure from an air compressor to convert shampoo or any foamy product into unbelievable foam. The suds are so light and fluffy, they cling to vertical surfaces without running off.